You might think these are in Italy. 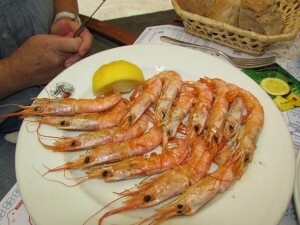 No, they are in the small city of Lugo, Galicia, Spain. We were surprised too. How did we find out about this little treasure town? Well, it started with Jenean’s laptop needing a new power cord. We stopped on our way from Santiago de Compostela to a country inn near Astorga at a large electronics store at the Lugo exit which has outlets across Europe. The young man who helped us there is in the wrong job. He should be the director of Lugo tourism. We mentioned that we were on our way through the area, and he acted surprised. 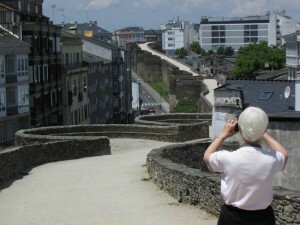 ‘You aren’t going to see the longest Roman walls in the world?’ He then proceeded to extoll the many virtures of Lugo. Here we were, preparing to just get back in the van and continue on our way and this young man convinced us to make a detour and lunch stop in what is now one of our favorite destinations. 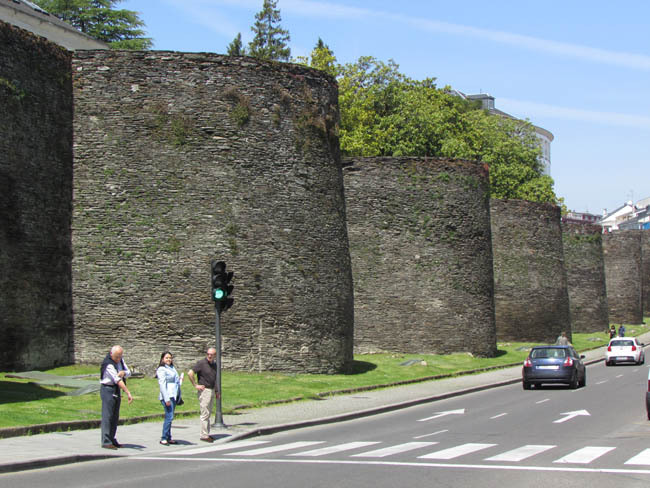 Lugo’s Roman walls reach a height of from 33 to 49 feet, and they undulate along the landscape around the core of the central city, completely encircling it. You can walk along the broad top of the wall for a unique perspective on not only the long wall, which stretches for nearly 7,000 feet, but you can also look down on the town, the rooftops and the towers of the several churches. The wall passes near the cathedral, which is also beautiful. Seventy-one towers make this wall one that is impressive from the outside, too. We walked part of the wall and then descended down to the area near the cathedral where, as our young helper at Media Market had explained, the best tapas could be found. We tried one of the handful there and were all pleased by our selections with the exception of my calamari, which tasted frozen. The owner took it off our bill. During Roman times, the region was full of gold mines, some of them open and visible today. 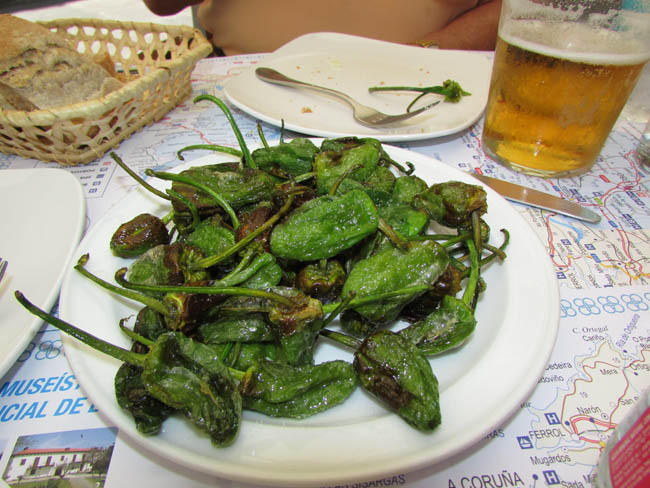 Posted in Europe Tours, Spain Tours and tagged ancient, best, galicia, gold, history, longest, lugo, mines, preserved, roman, rome, spain, walls, world.